Let’s face it. The holiday season can cause us some degree of anxiety as we think of the best gifts to give our family and friends. Most of us become anxious mainly because we want to give a gift that would show that we know the other person very well and because we want to give something that would not end up collecting dust in their closet. In particular, I find that buying gifts for frequent travelers may not as straight forward as we think it might be. There are various items out there that become gift clichés that either that person already has a ton of or does not actually serve a purpose at all. Let me take you through the list of gift ideas for every type of traveler that they will actually use and they will certainly remember you for. Hiking up the mountains for days is not an easy activity to do especially with the chilly atmosphere. A pair of thermal shirt and pants is an excellent gift to warm them up in very cold hikes. Plus, this would also prove to be useful when they visit another city during the winter. One can never be too careful when it come to food and drinks especially those with extra sensitive stomachs. That where the filtered water bottles with an easy-sip straw come in handy. I bet they would not leave for a long trek without this gift they got from you. A good, comfy pair of hiking shoes is something that would never go wrong for an outdoorsy traveler. It’s something they can wear mainly on a trek up the mountains but also use on a trip around any city. Remember that weekend they’re chilling by the beach? They’d probably need a dry bag to store their camera, phone or book. Well, they could use it on a short hike, too! 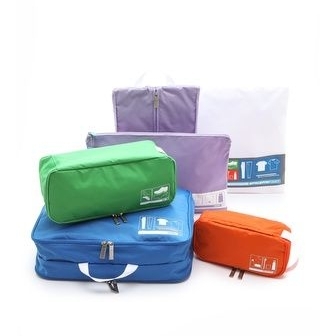 Dry bags come in various colors and sizes that you can choose from. Or if your budget permits, get them the entire set! Just like the dry bag, a waterproof phone pouch would be extremely useful during an island-hopping trip. It allows them to keep their phones dry and safe while taking a shot of that glorious tropical sunset. Outdoorsy people are oftentimes thrill seekers, too! An action camera like the GoPro will allow them to capture breathtaking moments while bungee jumping, skiing or paragliding. I bet they you’ll be the first one they’ll share the videos to. They value efficiency more than anything that’s why having one adapter for all the plug types and bonus USD ports is a must-have for them. This is one less problem for the group planner wherever in the world they wish to go. The functional travelers would never need to worry about the security of their personal information as this technology blocks potential identity and information theft from the cards that are in their wallets. This is definitely a keeper. Being meticulous planners, functional organizers would not mind receiving a consumable gift for as long as it helps them in the DIY travel planning. 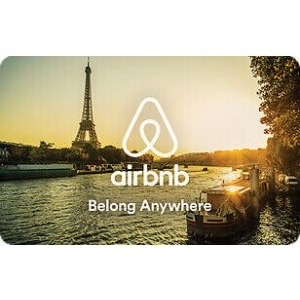 AirBnB gift cards come in digital and physical form. This type of traveler is also big on the essentials that’s why a good quality toiletry bag would be valuable to them. All the bathing and grooming stuff in one bag? For sure, this is a must-have. One guilty pleasure of the organizers is compartmentalizing their luggage. They may already have these but it would not hurt for a new set in case to match their mood, luggage or destination! Anxiety levels rise when they exceed baggage limit. That’s why it would be so useful to get them a foldable bag which they may use for the occasions they need to pull out some stuff to put on their carry on. Unless they are professional videographers, chances are your ‘grammer traveler has unstable Instagram stories or shaky vlogs. This gimbal from Zhiyun will surely allow them to capture your best travel moments in a smooth and buttery fashion. Similar to a gimbal, a tripod comes in handy for content creators to get those steady establishing shots. Some tripods also serve as stabilizers. So that’s a two-for-one deal! Sweet! If budget is a non-issue, you cannot go wrong with this. Drones are popular pieces of technology that allows the creatives to get aerial shots – selfies even! In no time, you’d start seeing breathtaking views on their Instagram page. DJI Mavic Air is perhaps the smallest travel-friendly drone out there. Easy to carry around yet still captures top-caliber shots, mirrorless cameras are a perfect gift for a creative traveler. There are a lot of mirrorless cameras in the market but I highly recommend this Canon EOS M6. I just have been using mine for a while but the shots are ugh-mazing! With the gazillion number of photos and videos that take every single trip (most of them being RAW files), the ‘grammers need a place to store their content. Their laptops can only store so much so external hard drives are very essential to them. A 1- or 2-terabyte hard drive could be enough… for a while. Yet another cute and creative way to capture travel memories is shooting with film. Instax cameras could be your best bet on this. The nostalgic effect of an polaroid film cannot be dismissed. This type of traveler believes that fashion should also be functional. So why not give them this infinity scarf with a hidden pocket? 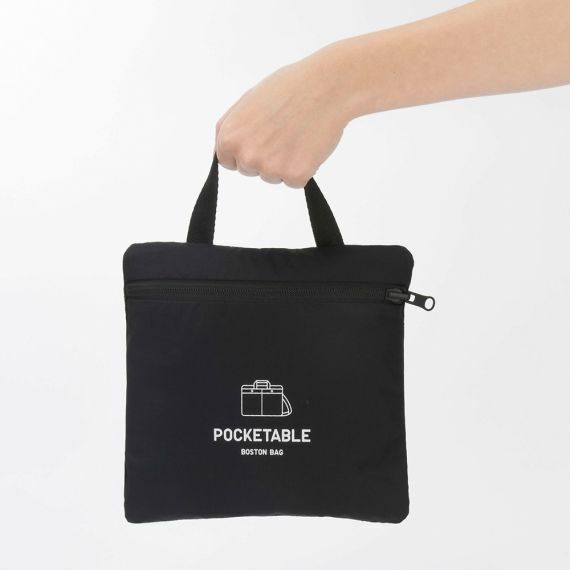 Perfect to discreetly take their passports and other small important items while exploring a new city but still keeping their sense of style. A good pair of gloves is an awesome gift for someone who is planning to travel for the winter. Make sure to give a pair of touchscreen gloves so they won’t need to take them off whenever they need to use their phones. This is definitely a game-changer on the mittens department. For the summer, these jet-setters will hit the beach and a resort look won’t be complete without a good pair of sunglasses. There are a ton of designs and sizes out there so make sure you get them the one that fits the size and shape of their faces. Another very useful gift would be a mini clothes steamer to keep their clothes neat and tidy from being compressed inside the luggage (together with a bunch of other clothes they packed). Hotels may have flat irons but sometimes housekeeping takes time to deliver it or maybe it’s just not available. Better be prepared. To complete their look, especially the ladies, the hair should be tidied up, too! Why not give them a mini hair iron that’s not too bulky and fits well in the luggage? Finally, the fashion-forward ladies and dapper gentlemen love some photo shoot, don’t they? It would be an extremely thoughtful gift to book them a photo session on their next trip. SweetEscape provides the best holiday photo session and you can get USD 50 discount and 30 extra photos if you use the promo code THEROOTOFALLTRAVEL at checkout. Read about my SweetEscape experience here. These earpieces will allow the retreaters to have a relaxing flight – avoiding the noise of screaming babies on the flight and or peacefully watching their favorite in-flight entertainment. While other travelers are busy chatting or editing photos while on the plane, this type of traveler quietly and gradually creeps to dreamland. A good pair of eye mask is something they need to do just that! If they’re not asleep on the flight, you’d rather find them reading a book or the in-flight magazine. To save them the hand carry space, they’d very much love a Kindle so they can take as many eBooks as they want. Just like the outdoorsy adventurer, an easy-going traveler also loves nature but chooses to chill out by the beach more than any other nature adventure. A Bluetooth speaker would be an excellent companion the next time they hang out under the sun. You’d likely find a retreater writing something in a notepad. They are very reflective and love scribbling ideas, thoughts and reminders. A travel journal is surely something they would treasure. But keep if compact and light to be travel-friendly. This type of traveler is not without style, though. They love tasteful pieces, too, so might as well gift them a stylish Anello backpack they can put all the above items into. The city explorers are fond of hopping from one airport to the next with their sleek yet functional luggage. It certainly would not be a waste if you gift them another one as they appreciate some change in style every now. You cannot go wrong with LOJEL’s stylish yet still functional luggage lines. Read my blog post about LOJEL’s Rando Frame version here. Urban travelers tend to move constantly making this coffee press an ideal gift for those who love coffee or tea so they can take it anywhere with them. Spare the urban traveler the trouble of getting lost whenever in a new city and give them a Skyroam Solis Wi-Fi router. This allows them to get private and unlimited global internet access which can connect up to five devices. Get 10% off on your purchase by using the code THEROOTOFALLTRAVEL at checkout. This type of traveler avoids the airport crowd as much as possible that’s why an airport lounge is a sanctuary for them. For an annual fee, a Priority Pass membership will give them access to 1,200+ airport lounges around the world. If you’re trying to impress an urban traveler, this is a deal-breaker! Tile is a tiny Bluetooth tracker and easy-to-use app that finds your phone, keys, and anything you don't want to lose in seconds. Such an incredible gift for someone who pretty much constantly loses everything. Constantly on the loose, urban travelers need a travel pillow that’s more than the ordinary. This neck support travel pillow from Trtl helps keep head in better position when sleeping upright on planes or cars. Whether you are heading to the beach or to hike for days or even backpacking across Asia, an easy-dry travel towel is something one should have on their arsenal. Never run out of battery in the middle of the day at the most extraordinary place you’ve visited yet. Always pack a power bank for a back-up charging wherever in the world you may be. Whatever the climate on the destination may be, lightweight reversible parkas are easy to pack, versatile and at the same time comfortable. And these parkas from Uniqlo also sport a casual, laid back feel. One of the most embarrassing things that could happen on a trip is to unload items from your check-in luggage at the check-in counter to avoid excess baggage. It’s best to keep your luggage in check with a personal digital luggage scale. Hope this list helps you in preparing your gift list. I bet you are thinking of buying some items on this list for yourself. Why not? Is there something you’d like to add on this list? More importantly, which traveler type did you identify with? Share this blog post to let your family and friends know what you want to receive for the holidays! Happy gift-giving! If articles like this interest you, subscribe!